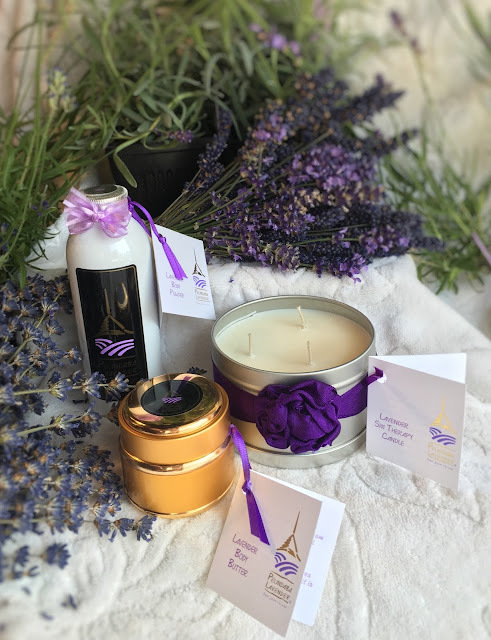 Taking inspiration from the popular hashtag #SelfcareSunday we like to carve out some weekend time to relax and rejuvenate, using our handcrafted lavender products for simple at-home spa treatments. 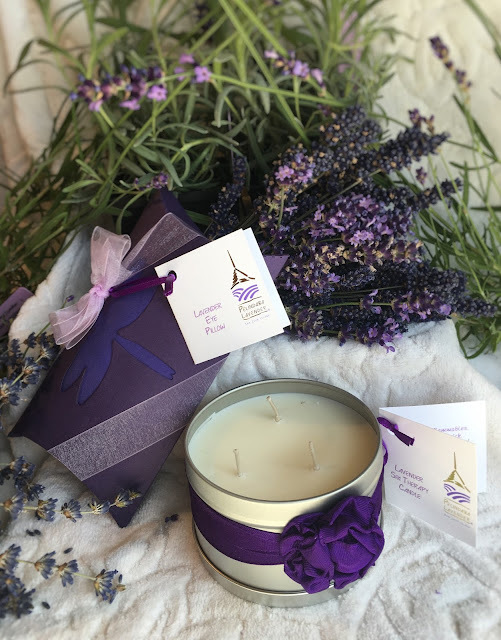 Step 1 - PREPARATIONS - First, prepare the bathroom by dimming the lights and lighting the three wicks of your Lavender Spa Therapy Candle. Warm your Lavender Eye Pillow in the microwave and wrap it in a towel to retain the heat for later use. While the candle is slowly melting into a blend of moisturizing oil, run a hot bath. Step 2 – BATHING - For additions to the bath water, we handcraft several luxurious options, each with its own benefits. (If you don’t have a bathtub, we would recommend creating an aromatherapy experience by using our Lavender Body Wash). Lavender Bubble Bath – Excellent for stress relief, drizzle into the hot bath and vigorously agitate the water to create maximum bubbles. Luxuriate. Lavender Silky Milk Bath – An herbal bouquet bringing all the beneficial properties of lavender essential oil to the luxury of the bath. It is said that Cleopatra, Queen of Egypt, soaked daily in lavender milk baths to keep her skin beautiful and radiant. Lavender Bath Salts - Soothing, relaxing and detoxifying, a lavender-fragranced soaking bath to treat sore muscles and joints. After 5-7 minutes rinse the remaining sugar from the skin and relax with your warm Lavender Eye Pillow. The weight of the dried rice and organic lavender buds provides just the right amount of light pressure on the optic nerves to promote relaxation. Lay back, let your thoughts go and breathe deeply. Step 4 - FACIAL TREATMENT – After a final rinse, towel dry. That steamy, pore-opening soak and exfoliating sugar scrub left your facial skin purified, soft and ready for an at-home lavender facial. To re-balance the pH, tighten pores and prep the skin for moisturizers, apply our exclusive Organic Lavender Facial Toner and Cleanser all-natural antiseptic formulation by atomizing or use of a cotton ball to spread over skin. The Hydrosol’s cooling effect feels great after a hot bath! The single ingredient in Pelindaba's Facial Toner & Cleanser is our "Premium" organic lavender hydrosol, produced from our own organic lavender flowers during the initial fifteen minutes of steam distillation of essential oil - when the oil content of the hydrosol is at its highest. Spot Treatment – Dab Organic Lavender Essential Oil onto individual breakouts at full strength, undiluted. 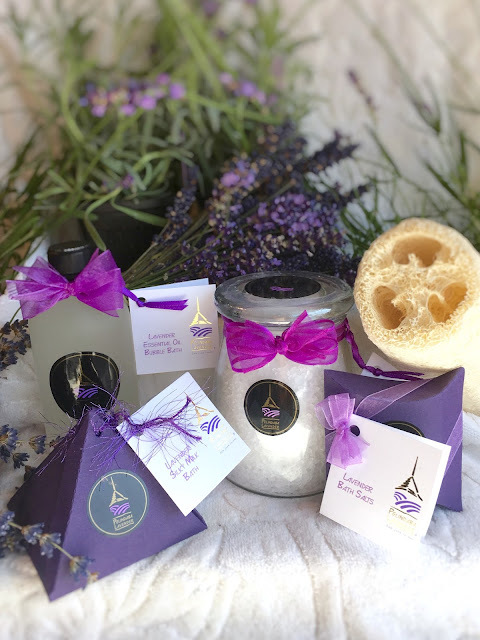 The natural antiseptic and antibacterial properties of lavender essential oil creates one of the most effective natural treatments for reducing redness, dark spots and scars caused by acne. Eye Area – Not only is our Lavender Treatment Stick easy to apply for cuts and abrasions but it is an excellent all-natural soothing under eye balm for delicate skin around the eyes. One of the key ingredients Vitamin E has long been recognized for treating dark circles, puffiness and signs of aging around the eyes. A known emollient, the aloe vera in our recipe helps renew and hydrate. *Because it contains pure essential oil, do use caution when applying close around the eyes. For all over moisture, gently massage Lavender Hand and Body Lotion over your entire face, neck and chest. 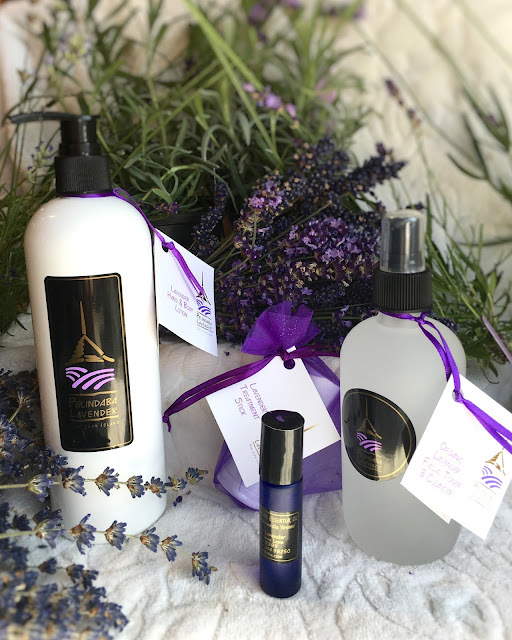 Our Lavender Hand & Body Lotion blends our certified Organic Lavender Essential Oil and Hydrosol with a selection of organic plant oils and extracts to create our soothing paraben-free lotion. Step 5 - ALL OVER BODY CARE - Moving on to the rest of the body, extinguish the Lavender Spa Therapy Candle and let it cool for a couple minutes. Focusing on tight, sore muscles and joints carefully pour the warm skin-conditioning oils onto the skin for a silky massage. Let the anti-inflammatory and pain relieving properties of the steam distilled Organic Lavender Essential Oil take effect. Treat areas that require a higher degree of moisturization and protection like elbows and knees with our ever-popular Lavender Body Butter. The principle ingredient, certified organic shea butter, is an effective skin softener and is a favorite for healing cuticles, calluses and cracked heals. Finally for the perfect after-bathing finishing touch, our fine talc-free Lavender Body Powder made exclusively with natural ingredients, and enhanced it with the natural antibacterial and disinfectant properties of our organic lavender essential oil. These beneficial properties along with the deodorizing qualities of baking soda, provide a degree of body dusting as therapeutic as it is comforting. We hope you enjoyed our suggestions for a relaxing lavender spa treatment. 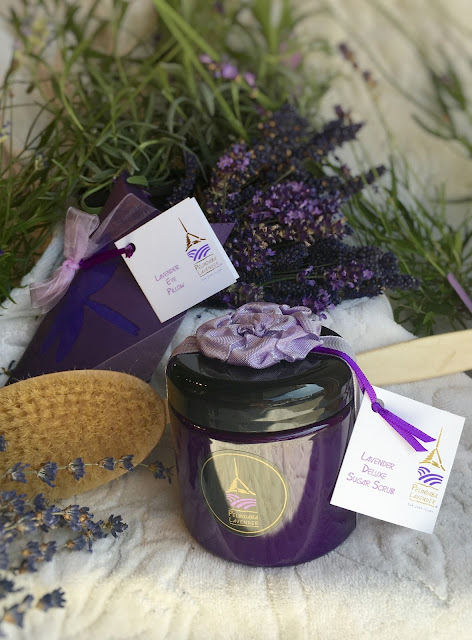 Have additional self-care tips utilizing lavender to share? Please leave them in the comments below.